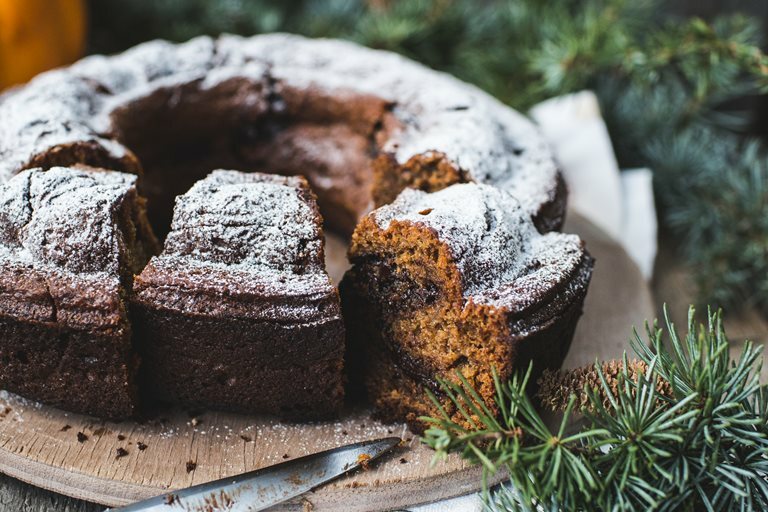 This cake is a great way to use a staple autumnal ingredient - pumpkin in a gloriously, spicy and comfortintg cake. 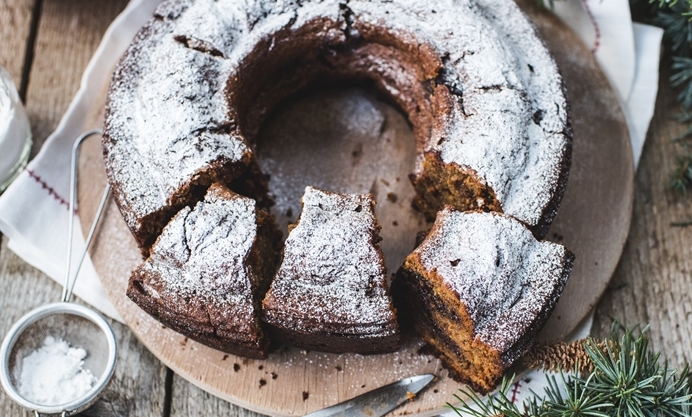 Curl up with a slice and large mug of tea. As soon as there's a chill in the air and the unmistakable signs of Autumn everywhere, all I want to do is pull on a thick jumper and bake comforting things (standing in front of a warm oven is a bonus, obviously). I crave hot chocolate, warming soups and start using even more cinnamon than usual. One of my favourite ways to pair cinnamon is to use it with an incredibly stereotypical Autumnal ingredient - pumpkin! The combination of that deep orange colour, which I associate so strongly with this time of year, and the sweet, aromatic cinnamon is a lovely thing to have in the form of a cake. The pumpkin also keeps the cake incredibly moist without having to use an excessive amount of oil. Along with the cinnamon, I added some rye flour for its earthy, complex flavour and a scattering of chocolate chips (because it's chocolate week!). To simply finish the cake I dusted it with icing sugar, that way there's less fuss and you can dig into the cake even sooner.